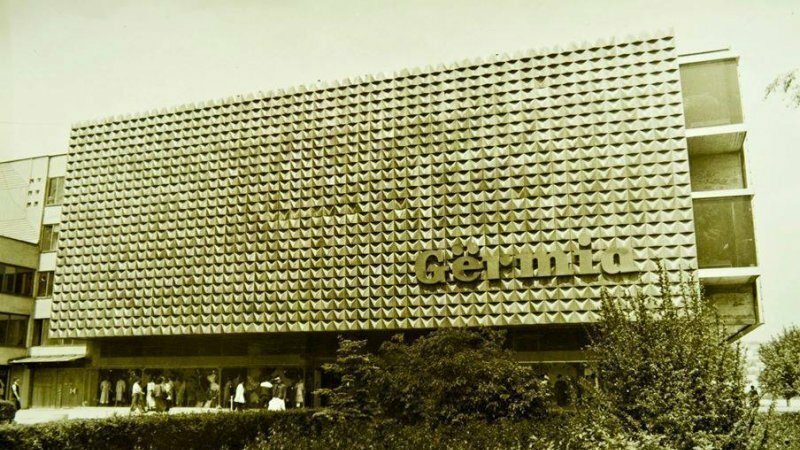 The former department store "Gërmia" is one the most iconic modernist buildings in the city of Prishtina and part of its collective memory. Today, this building is at risk of demolition under the excuse of building a Concert Hall in Prishtina, to accommodate the needs of an artistic community group. EC Ma Ndryshe considers that the process to assign a location for the Concert Hall is not transparent to the public and the eventual demolition of the former "Gërmia" building to accommodate a new function would undermine the heritage values of the city of Pristina, and presents a violation of the universal principles of heritage for the protection of the historical assets of the cities. In terms of architecture aspect and social momentum, the former department store "Gërmia", represents one of the most significant buildings in Pristina after the World War II. It portrays one of the (remaining) samples of the modern heritage of the city, as well as in terms of functional typology, it is the first trade center in Prishtina. The geometric purity of the volumes that shape up the building and the original texture of its facade displays unique architectural values necessarily to be preserved, marking down a significant period of Kosovar architecture, including the social development of Kosovo. Thus, taking into consideration the historical, artistic, scientific, social, educational, economic, functional, rarity and identity values that this building promotes, and referring to the media reports on the threats from demolition of this building due to the construction of the Concert Hall, on Friday (28th September 2018) EC Ma Ndryshe together with DoCuMoMo Kosovo and other civil society organizations submitted a request for inclusion of the former "Gërmia" building in the List of Protected Cultural Heritage by the Ministry of Culture, Youth and Sports and its respective institutions . The purpose of this initiative is to facilitate a public discussion on the importance of this category of buildings, and undertaking required institutional actions for inclusion of this building in the List of Cultural Assets under Permanent Protection. EC Ma Ndryshe recalls that according to the applicable law on Cultural Heritage no. 02 / L-88 and Regulation on Registration, Documentation, Evaluation and Selection of Heritage for Protection No. 05/2008, any building proposed for protection by natural persons or juristic persons, automatically is entitled to the status of provisional protection, further acknowledged to the assessment process for acquiring permanent protection. Therefore, EC estimates that no action can be taken in the building until the evaluation process is completed and the issue resolved by the commission of MCYS. We urgently require transparency from the Municipality of Prishtina about the work of the committees and working groups engaged in drafting of this project, as well as to organize a public discussion on this capital project of public interest. We do not object the construction of the Concert Hall and the accommodation of the needs of the artistic community of Kosovo. But we require from the Municipality of Pristina and the European Union (as co-financiers of the project) to argue and justify assigning location of the respective building and the assigned location not to violate the cultural heritage values by erasing historical layers of the city of Pristina. In reference to the applicable Law on Cultural Heritage no. 02 / L-88, the sole and final authority for determining the values of cultural heritage is the Ministry of Culture, Youth and Sports and its subordinate institutions, therefore undertaking any action finding the lack of values of this building is ungrounded and incompetent. We call on the MCYS to move on with the assessment process, and based on our request to announce this building under protection. According to the applicable law on Cultural Heritage no. 02 / L-88 and Regulation on Registration, Documentation, Evaluation and Selection of Heritage for Protection No. 05/2008, any building proposed for protection by natural persons or juristic persons, automatically is entitled to the status of provisional protection and enters in the assessment process for acquiring permanent provision. Therefore, we estimate that no action can be taken in the building until the evaluation process is completed and the issue resolved by the respective commission of MCYS.